In October 2015, we upgraded our Imaging Suite to host some of the best technology available today in the world of diagnostics. 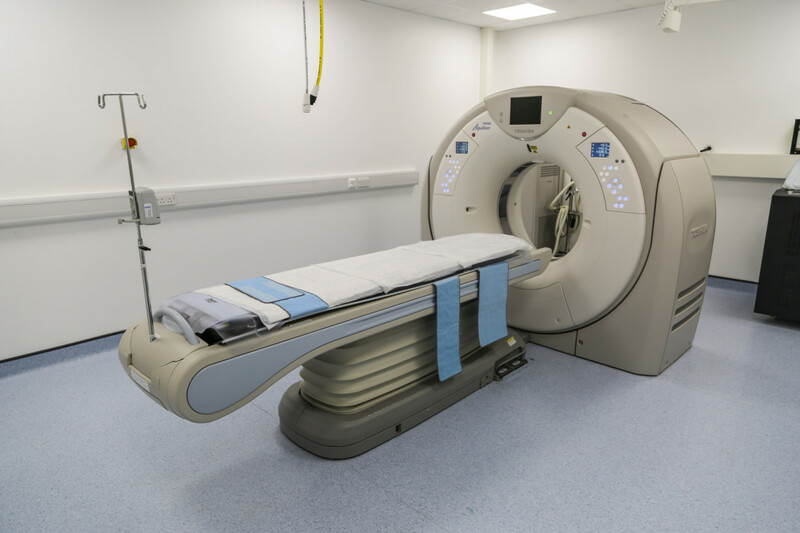 The new Toshiba Aquilion 160 CT Scanner and Siemens 1.5T MRI Tim System Scanner, available at both our Orthopaedics and Neurology and Oncology and Soft Tissue hospitals, are ones of very few in the UK. The new scanners have the capability of providing highly advanced imagery offering the very latest and best detective technology for patients. The Toshiba Aquilion 160 slice CT scanners are two of the most advanced CT machines in the UK, providing excellent image quality within seconds of scanning time. 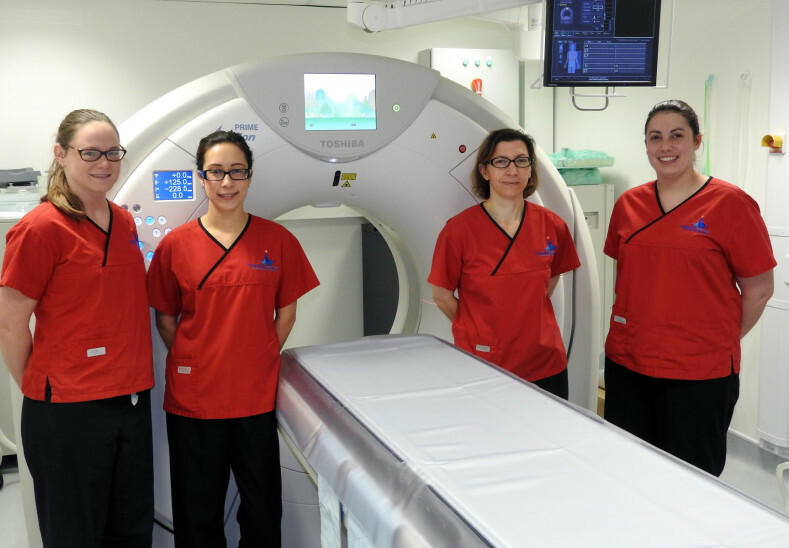 This multi-detector scanner can produce high resolution imaging of the thorax, abdomen, pelvis, head, bones and joints with CT angiographic studies which has revolutionised the ability to view fractures, complex joint disorders, limb deformities and bone-invading cancers in 3D. The Siemens 1.5T MRI Tim System Scanner in our Orthopaedics and Neurology hospital in Eashing obtains images of exceptionally high quality in order to achieve swifter diagnosis and reduced examination time. This state-of-the-art system has 32 channels and can combine up to 72 coil elements, a configuration that makes this system superior for scanning the patient top to toe without any repositioning. 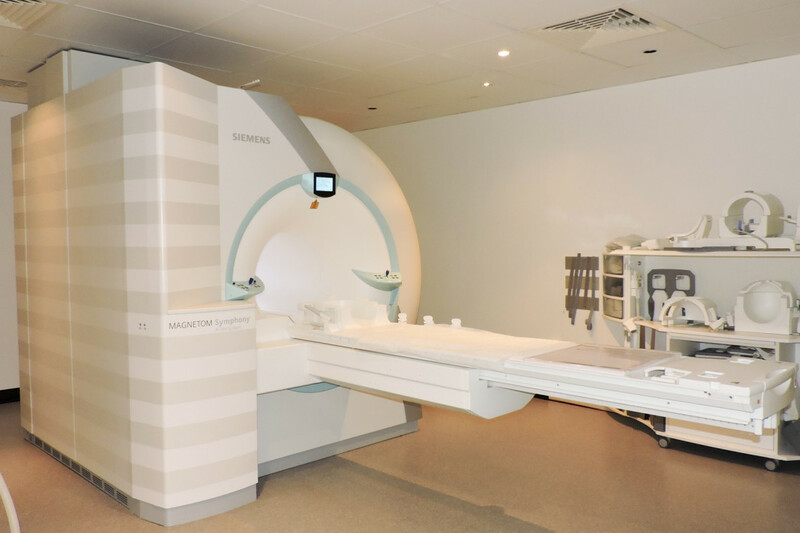 Since introducing the new MRI machine, the practice has already managed to reduce scanning time by 30%. The scanner has capabilities to evaluate perfusion in brain tumours, cartilage thickness, and spinal cord changes of 1mm slice thickness. With this latest upgrade, our imaging department is now equal to that of leading hospitals in human medicine today. For example, the routine MRI scan of the brain now only takes 15 minutes with all routine sequences that previously would take 25. The CT scanner has state of the art detector technology, capable of producing very thin slices of 0.5mm that enable the clinician to recognize and diagnose very subtle changes. Our upgraded suite and what it can do can change the future significantly! With such cutting edge equipment we can take a huge step forward to improve patient care in both animal and human medicine. With our suite now upgraded, we have relaunched our Outpatient Imaging Service. Find out more!